The Lily of the Nile (Agapanthus) attracts all the attention: This is mostly due to the inflorescences, reaching heights of up to two meters, which tower above the seemingly assorted, overhanging leaves. 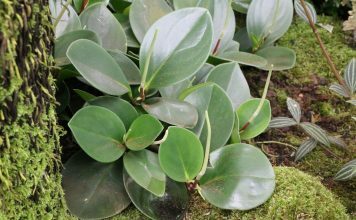 Up to 250 single leaves mass together to one inflorescence in the charming shape of a ball. 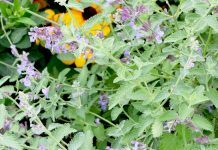 Originating in southern Africa where they are appreciated as a medicinal plant and grow up to 2.000 meters in higher areas. 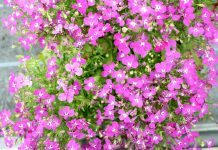 Our local climate in Germany may be different than Agapanthi’s region’s of origin climate, however, these nicely blooming love flowers are also mostly comfortable with the local climate. Only during winter they have to be taken care of, as they do not like temperature below freezing point at all. What you have to take into consideration in order for your Lily of the Nile becoming a unparalleled beauty you will learn here. 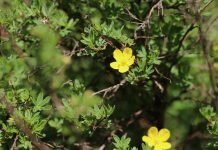 Botanists know of several natural occurring kinds, often five or more kinds are mentioned. However, experts did not yet reach consensus on this topic. It is possible to interbreed all known kinds, which led to the cultivation of currently ca. 500 varieties. 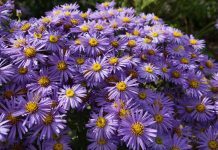 They differ in form and colour of their blossoms and leaves, the possible colours of blossoms include violet and lilac, for example. Even so the Lily of the Nile with it’s impressive ball-shaped blossoms is a real eye catcher both in the garden and on the balcony, love flowers, as they are called, are relatively undemanding, which makes their presence in the garden paradise even more attractive. 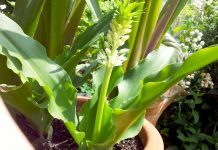 Here you will learn how to take care of your Lily of the Nile in order to take much pleasure in it. When you consider the Lily of the Nile’s south-african origin, you will understand that the plants love the sun. 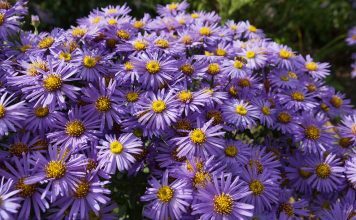 The best location is therefore a place directly exposed to the sun, so the plant can develop it’s impressive leaves and colourful blossoms. But also a semi-shaded location is relatively agreeable. However, please note that the Lily of the Nile will position it’s (somewhat more sparse) blossoms in the direction of the sunlight, if it is exposed to fewer sunlight. 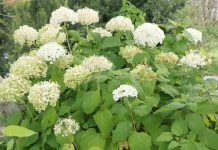 This may result in a lopsided growth of the blossoms which increases the risk of snapping stems. If being able to choose, the Lily of the Nile should always be situated in full sunlight. Additionally, this place should be warm and protected of wind, because the wind may also cause snapping stems. 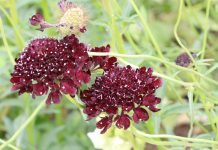 After flowering you can harvest the dried inflorescence if you should be interested in sowing. The seeds have to remain a long time on the plant in order to be fully grown. You will recognize the right moment to harvest when the capsules with the seeds are beginning to open. Without human intervention the seeds would begin to drop in the near future. Every inflorescence contains ca. 50 to 100 seed within the threefold capsule. You can sow the seeds immediately or wait for the passing of winter. During hibernation you should take care to store the seed cool and dry, so it does not spoil. Normally after a few weeks the first shoots will be visible. But be careful: If nothing more happens then, be careful for a bit longer. Sometimes seeds will sprout only after a few months. Because the Lily of the Nile possesses Rhizome, you can alternatively just split the plant. For additional information, please refer to „Procreation“. difficult with bigger plants, a table mat is not recommended. As the plant is capable of bursting sensitive tubs due to their rhizome growth, please do not use expensive porcelain or clay tubs. Modern, robust tubs, for example made of fibreclay, are a good alternative. Please pay attention that the tub has drain holes for surplus water. From time to time even a Lily of the Nile has to be repotted. 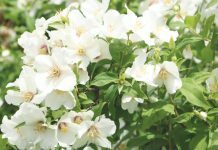 However, regularly, the plant will be coming to it’s beautifully own when the soil is completely penetrated by roots, as then also it’s surface part at it’s highest growth. Therefore you should wait for this act of care as long as possible. The correct time for repotting has come when the plants pushes itself a bit from the pot. When using a bigger pot with a deeper pouring edge you can identify the correct time more easily by cutting a mark in the inner side of the tub. When using smaller tubs the plant will tend to push itself out of the tub. 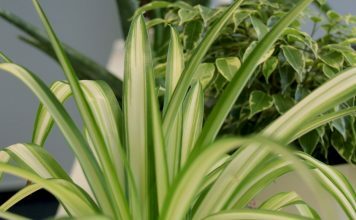 However you should not wait any longer for repotting as the plant has trouble regulating it’s water balance from this time on. Regularly, the Lily of the Nile will blossom a bit less magnificently in their year of repotting. However, repotting it will nevertheless pay it’s efforts, as it’s old beauty will already be restored the next year. 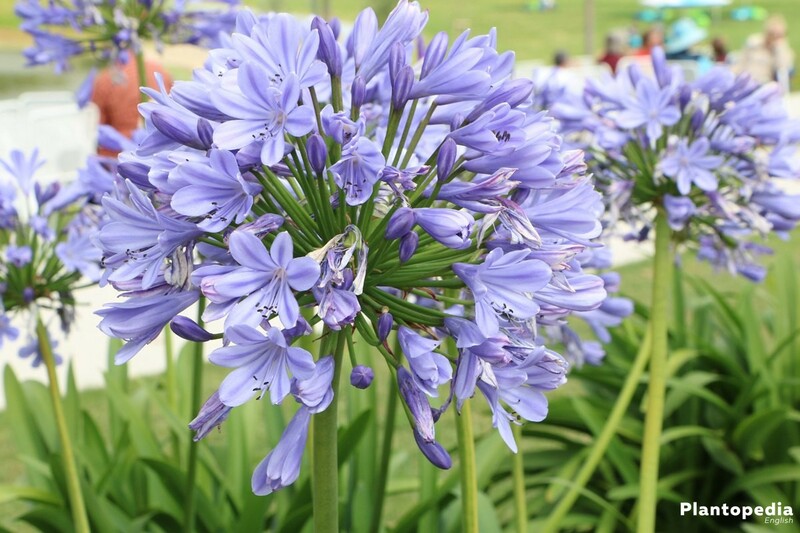 The most important rule when watering a Agapanthus is: Avoid water logging at all costs, even if it is only for a short time! The network of roots is very sensitive to water and will inevitable start to rot. Instead you can relax during holidays as Lilies of the Nile cope with temporary drought very well. The reason for this is the formidable ability to store water within the rhizomes. When watering during April onwards you should also start fertilizing. You can use a regular liquid fertilizer. A special fertilizer is not required. Apply the fertilizer once a month to the watering water and water you plant with it. The last fertilizing should be don in August. 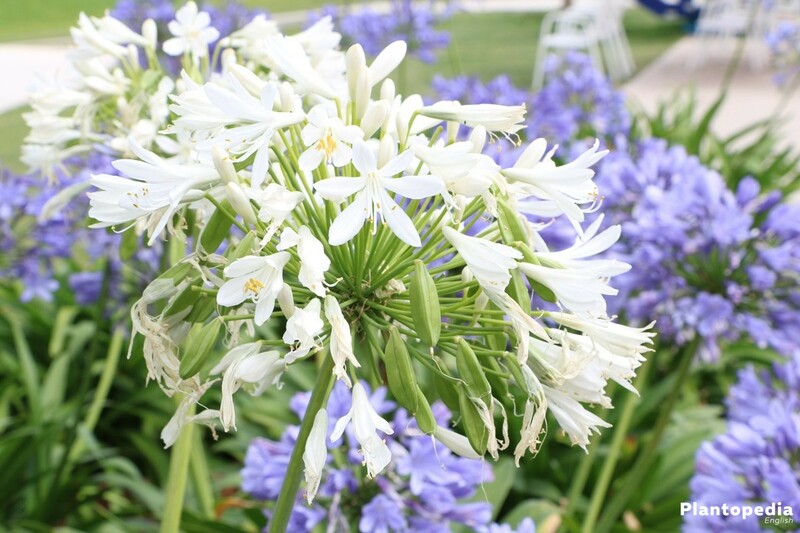 Watering, fertilizing, repotting, a good choice of location – with those actions you already accomplish a better blossoming behavior with your Agapanthus. Additionally, you can also take care “mechanically”. 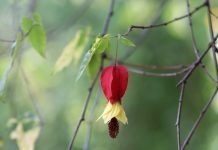 Take care that withering blossoms do not remain on the plant, as then the plant does not use it’s energy for the production of inflorescences, but tries to form new blossoms in order to satisfy it’s desire to procreate. Cut off the withering blossom deep down on it’s stem using a sharp, clean knife or garden scissors. Withering leaves, however, should not be cut off. Wait until the leave’s withering is progressed so far that you are able to pick it by hand. Additionally to the aforementioned seeding you also can procreate Agapanthi by splitting. Using this, you also can “rejuvenate” the plant, meaning you don’t have to buy larger potting tubs regularly. It is only important that the new tub is adjusted to the growth of the new plant. 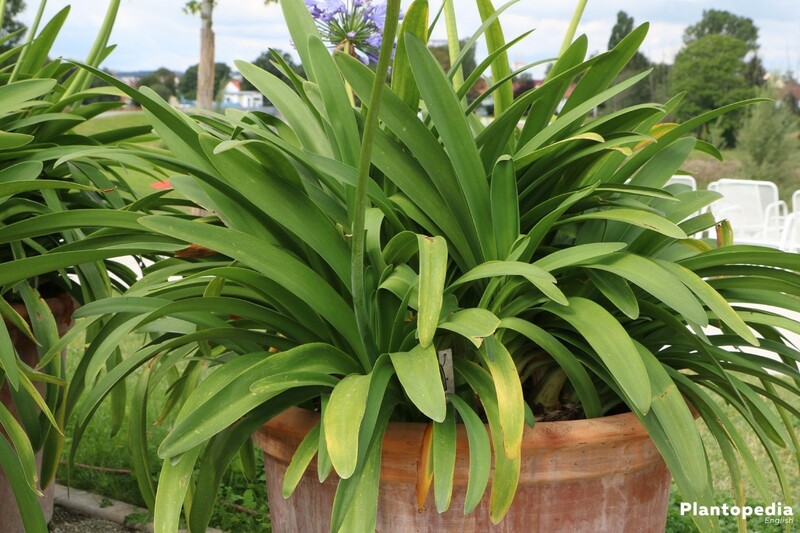 If the tub is too large, your Agapanthus will not blossom or less so. The tub should only be a bit larger than the ball. Like during the repotting you have to predict that by splitting the first year will see less blossoms. Lilies of the Nile can be evergreen or deciduous. Depending on this, they are perennial or not. 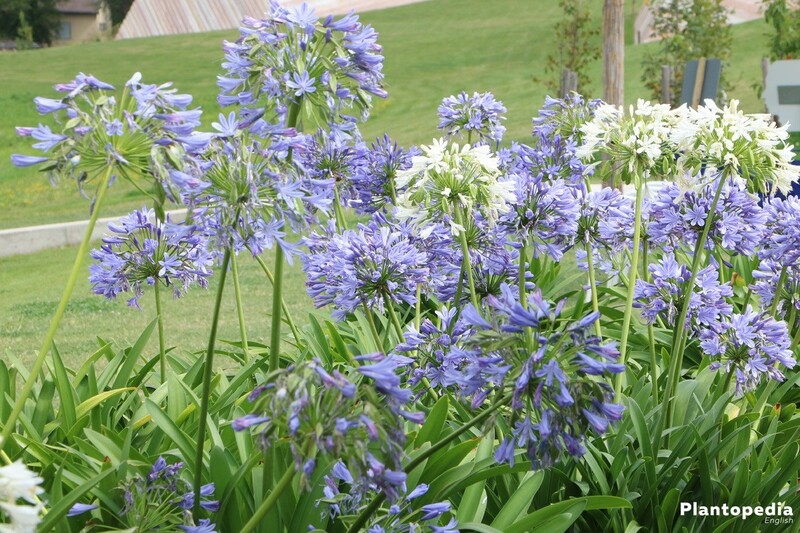 A evergreen Agapanthus in not safe from frost, which means it will die during frost. It will keep it’s leaves during the cold season, which makes it sensitive to temperature below freezing point. Therefore it has to be kept in a safe place during winter. This place should be dry and bright as the plant carries on photosynthesis. A further important factor is the maximal temperature. 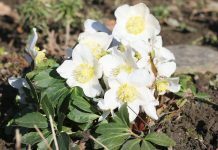 Additional to the minimal temperature of 0° Celsius, the room should not be warmer than 7° Celsius, as during hibernation the plant lays the foundation for next summers blossoms and for this reason it may not be to warm during winter. Deciduous Lilies of the Nile merely consist out of their network of roots and the rhizomes during winter. Photosynthesis comes to a hold, therefore the plant may be kept in the dark during hibernating. 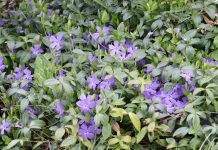 The soil should be preferably dry so the plant can tolerate moderate frost. However a frost-free storage is preferable. After winter, place the Lily of the Nile early on the outside. Please ensure that the hard frosty period is over for sure. The earliest point of time for placing the plant on the outside is early April. The pricking out of Lilies of the Nile demands a lot of work. This method is not recommendable for people who want to avoid much effort. When winter comes, every Lily of the Nile has to be dug out of the patch, no specimen tolerates frost periods, as they are common in Germany. By digging out, the roots can be damaged, which impedes the blossoming during the next year. 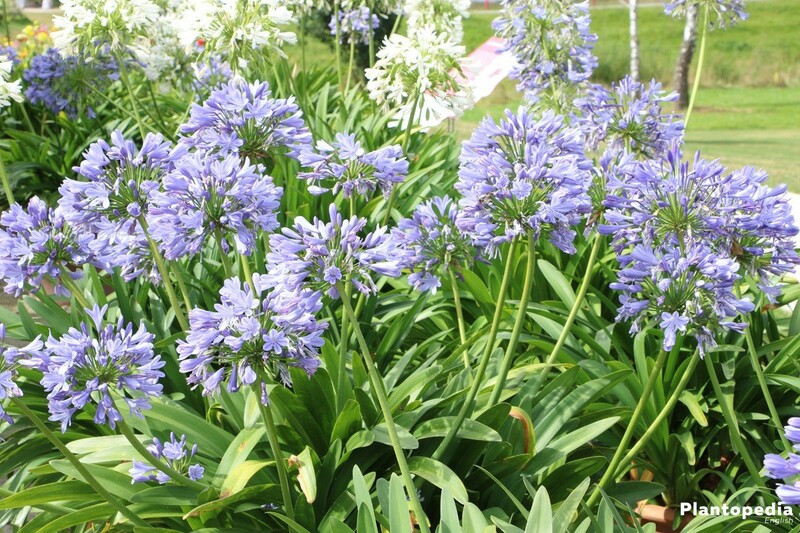 Even when taking immense care, it is not guarantied that your Agapanthus will be so beautiful like it could be in a tub. Whoever does not want to renounce from Lilies of the Nile in their patch, can plant it within a tub in the garden. By this you reduce many risks, also the digging out during the end of the growth period is easier. Rhizomes being left behind after digging out can not conquer your garden “weed-like” as they are not going to survive the winter. 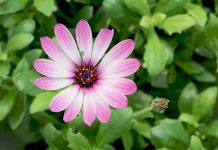 The beautiful ball-shaped blossoms also have their demand in a vase: the best point of time for cutting Lilies of the Nile has come, when a few individual blossoms of the entire blossom have already opened. Normally, the other individual blossoms will open after this. Up until to two weeks you can enjoy the radiant blossoms in your living room or other rooms. Please make sure the plant is supplied with fresh water and cut off the stem newly from time to time. For optical freshness you can remove withering individual blossoms by picking them. Lilies of the Nile are immense robust against illnesses and parasites. 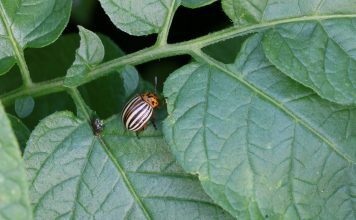 Mice and snails verbatim shun the plant. 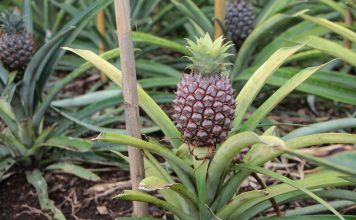 The sole serious illness you should watch out for root rot. It results from water logging.